Captain James Wallis, soldier of the 46th Regiment, was the Commandant of Newcastle from June 1816 to December 1818, appointed by Governor Lachlan Macquarie. 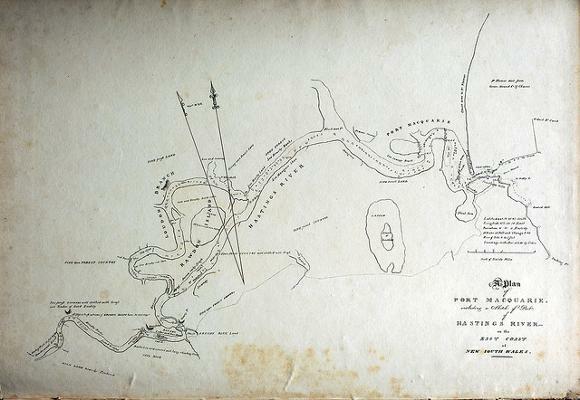 He enjoyed sketching as well as exploring and recruited talented convicts, such as Joseph Lycett, as artists. He was friendly with the local Awabakal people, especially their leader Burigon, who led him on hunting trips. During his time as Commandant he made many improvements to Newcastle, including building Christ Church Cathedral and conceptualising the breakwater at Nobby’s. Maitland was originally named ‘Wallis Plains’ after him. 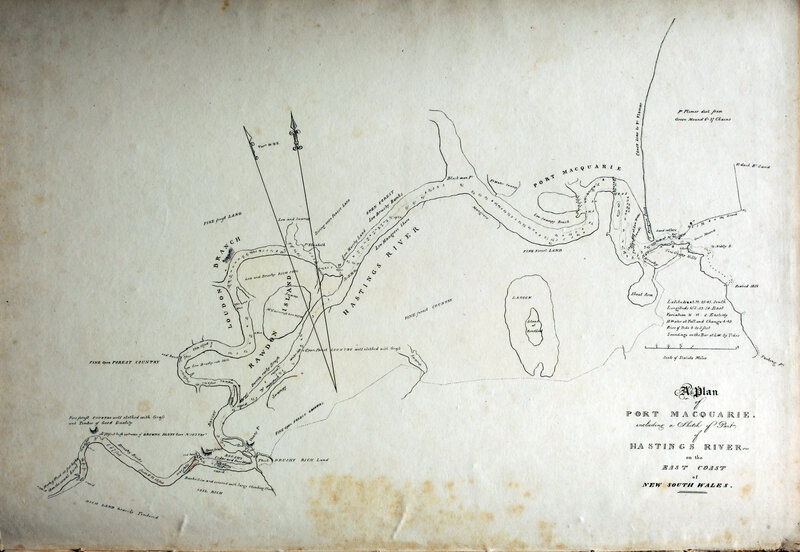 A Plan of Port Macquarie including a Sketch of Part of Hastings River on the East Coast of New South Wales from Captain James Wallis, An historical account of the colony of New South Wales and its dependent settlements: in illustration of twelve views (London: Printed for R Ackermann by J Moyes, 1821).